29th International Olympiad in Informatics was held in Tehran, Iran from July 28th to August 4th, 2017. Iranian Bebras organization managed to run a special round of Bebras during during the IOI week to promote computational thinking among Iranian young students. 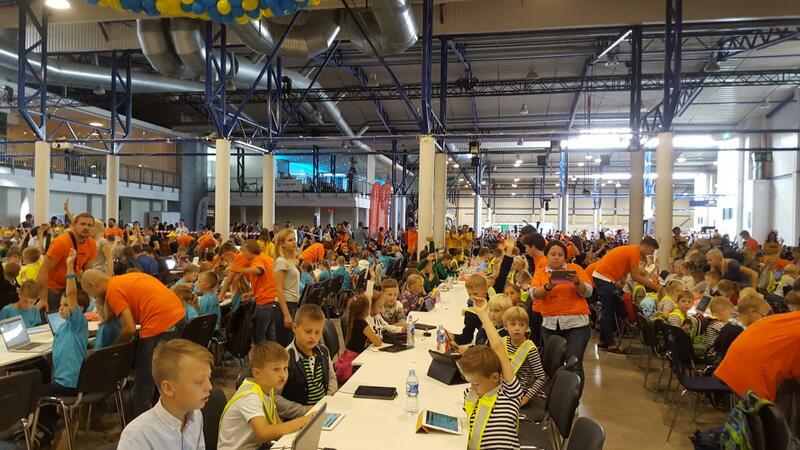 Almost 1000 students from all over the country participated in this special round. 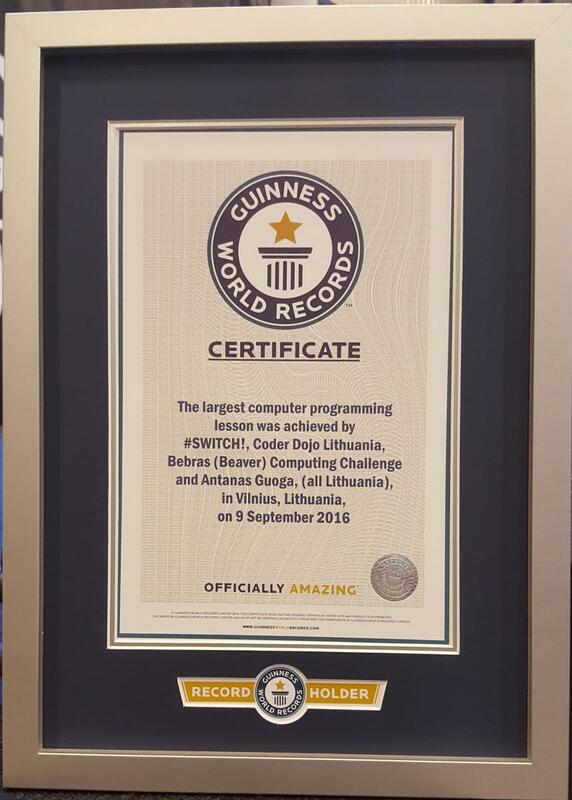 On September 9th, the largest computer programming lesson was organised in Lithuania. 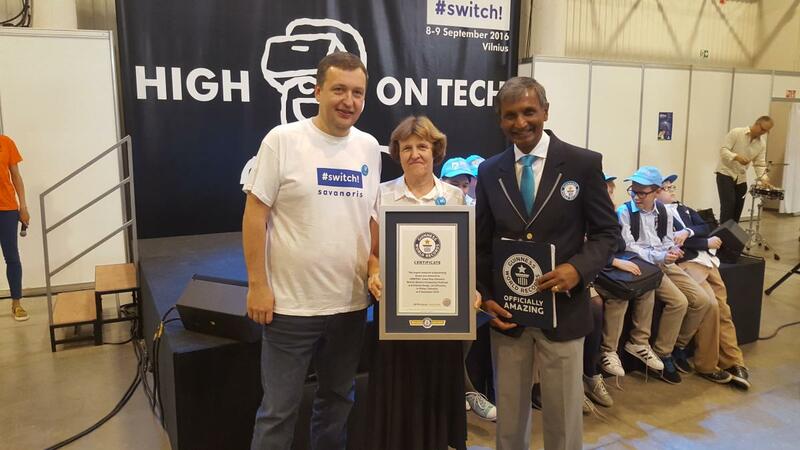 712 students (from 7th to 13th years) took part, as recorded by the Guinness World Records. Award winner announced during ECSS 2015, Vienna, Austria. 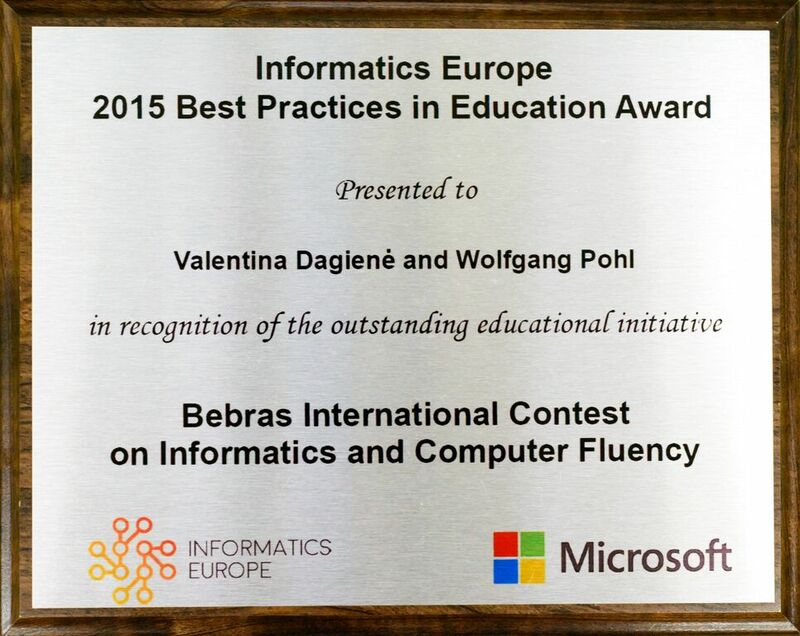 The winner of the Informatics Europe 2015 Best Practices in Education Award is the Bebras "International Challenge on Informatics and Computational Thinking", proposed by Prof. dr. Valentina Dagiene (Vilnius University, Lithuania) and dr. Wolfgang Pohl (BWINF, Germany) on behalf of the Bebras community. 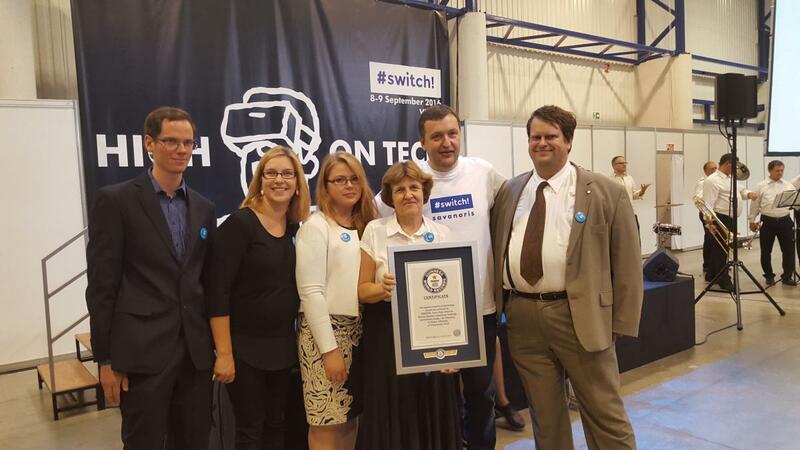 The Award, organised annually by Informatics Europe and sponsored by Microsoft Research, was presented at a special ceremony held in Vienna, Austria, during the 2015 European Computer Science Summit, where the award winner presented the impact and results of their project. Bebras app for Android (in German). Very good news from WITSA 2014 Global ICT Excellence Awards. 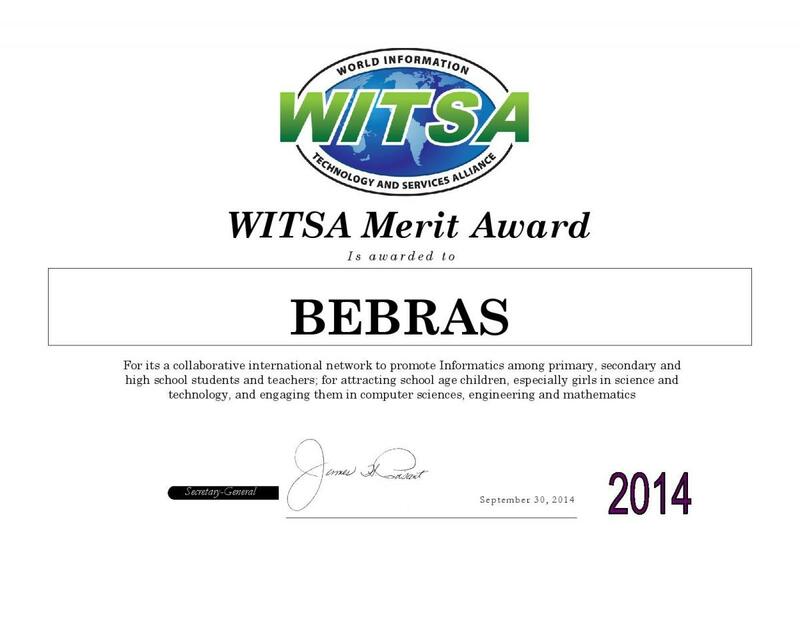 BEBRAS was selected as one of this year’s Merit Award winners. The award was given for its a collaborative international network to promote Informatics among primary, secondary and high school students and teachers; for attracting school age children, especially girls in science and technology, and engaging them in computer sciences, engineering and mathematics.